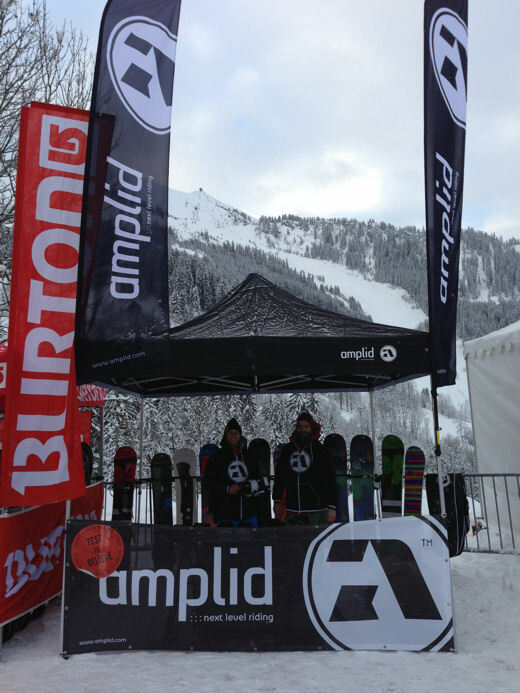 This weekend the Amplid 13/14 snowboard demo tent rolled into La Clusaz, France for France’s number one retailer demo weekend, Avant Premiere. Amplid head honcho Peter Bauer hooked up with the French A.R.C. to present an incredible collection to France’s snowboard industry glitterati. Next stop for Amplid’s retailer test tour is the Shop’s 1st Try in Landeck Austria and the ProTest in Italy. Members of the public will have to wait another 10 months to get on the gear… we promise you it’ll be worth the wait.